DENVER — Colorado Avalanche defenseman Tyson Barrie could get used to scoring overtime goals. He got the second one in his NHL career Wednesday in a 4-3 come-from-behind win against the Ottawa Senators at Pepsi Center. Barrie beat goalie Craig Anderson with a shot from the right hash marks after calling for the puck from Stastny, who was behind the Senators net. The Avalanche tied the game after Anderson made a spectacular save against Gabriel Landeskog, who had beaten the defense and broken in alone on the goalie. Stastny followed the play and knocked in the rebound. The win gave the Avalanche a 4-1-1 record on a seven-game homestand that ends Friday against the New York Islanders. The Avalanche were coming off a disappointing 4-3 loss to the Calgary Flames. The loss ended the Senators’ winning streak at four games, but they picked up a valuable point and are 5-1-2 in their past eight games. Down 2-0 early in the first period, the Senators scored two goals 1:25 apart in the second to take a 3-2 lead. Jason Spezza, who missed the previous four games because of a hip flexor, tied the game at 12:53 during a 5-on-3 advantage. Spezza was parked to the right of Avalanche goalie Semyon Varlamov when he tucked Clarke MacArthur’s pass inside the left post. Kyle Turris scored four seconds after the end of the ensuing 5-on-4 advantage at 14:18 with a one-timer from the left circle off a pass from Mark Stone. The Avalanche took a quick 2-0 lead in the first period on goals by Jamie McGinn and Jan Hejda, but the Senators answered late on a goal by MacArthur, stretching his goal-scoring streak to four games. McGinn, who has four goals in the past five games, connected for his 10th of the season at 2:19 on Colorado’s lone power play of the game. Nick Holden passed across to Erik Johnson at the right point for a shot that McGinn deflected past Anderson from the right hash marks. 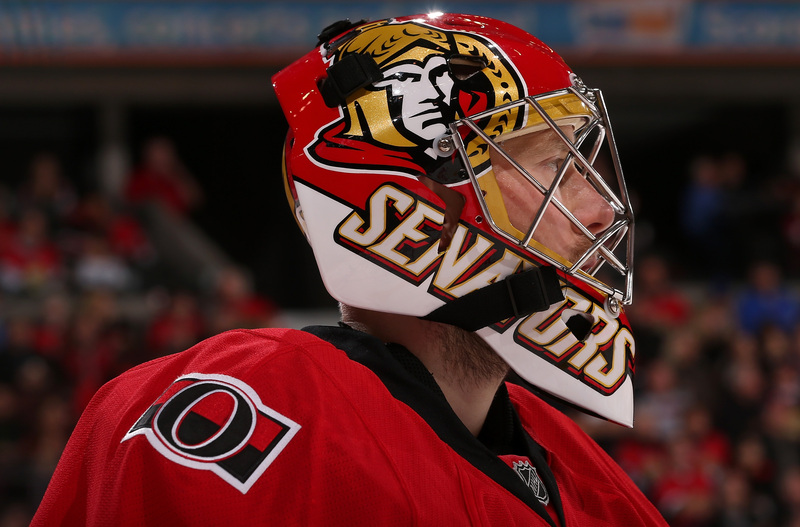 The Senators killed 20 of 21 penalties in the previous six games. Hejda made it 2-0 at 4:54 with a shot from just inside the blue line that beat Anderson, who was screened by Landeskog, to the stick side. The goal was Hejda’s fifth, matching his career high. The Senators got on the board at 15:02 after Avalanche defenseman Andre Benoit lost the puck and fell in his own end. Bobby Ryan scooped up the puck, skated behind the Avalanche net, and passed to MacArthur in the slot for a shot that eluded Varlamov. “We came out a little flat in the first,” Anderson said. “They came out flying. We bounced back and we were able to get one in the first to get momentum for the second. That showed the work ethic of our guys.